The upcoming, and poorly named, My Hero One’s Justice officially launches in the west this month but in Japan, it's now available. 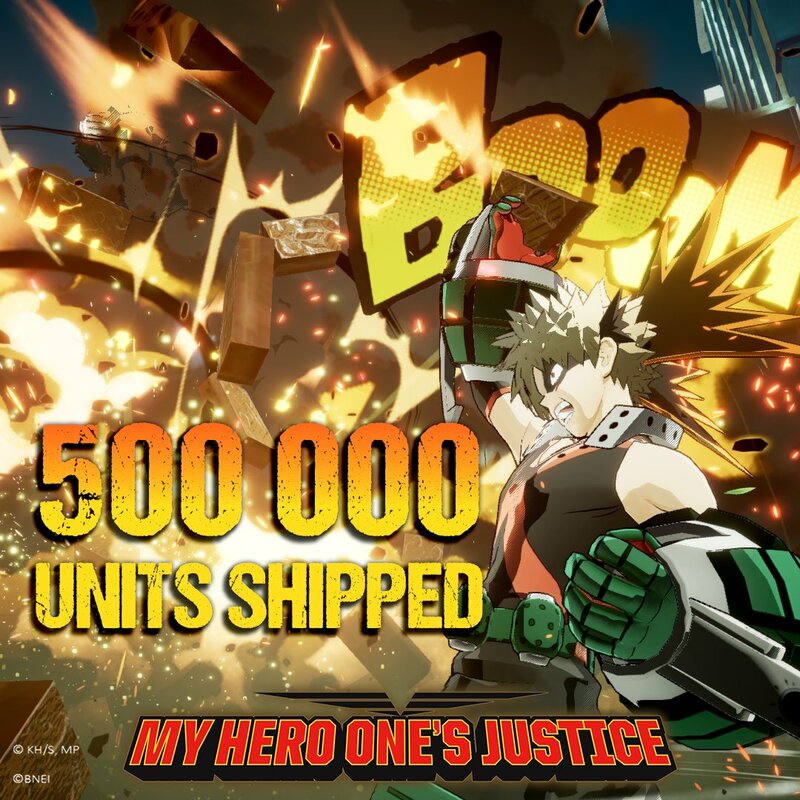 With Bandai Namco confirming they've shipped 500,000 copies so far. That's an impressive number but considering the manga and anime are extremely popular it's not surprising. In addition, it's one of the most popular animes in the west and the game will likely perform well but it'll be facing some steep competition such as Metro Exodus, Crackdown 3 and another Bandai Namco title Jump Force. My Hero One’s Justice launches this February 15th for Xbox One, Nintendo Switch, PS4, and PC.